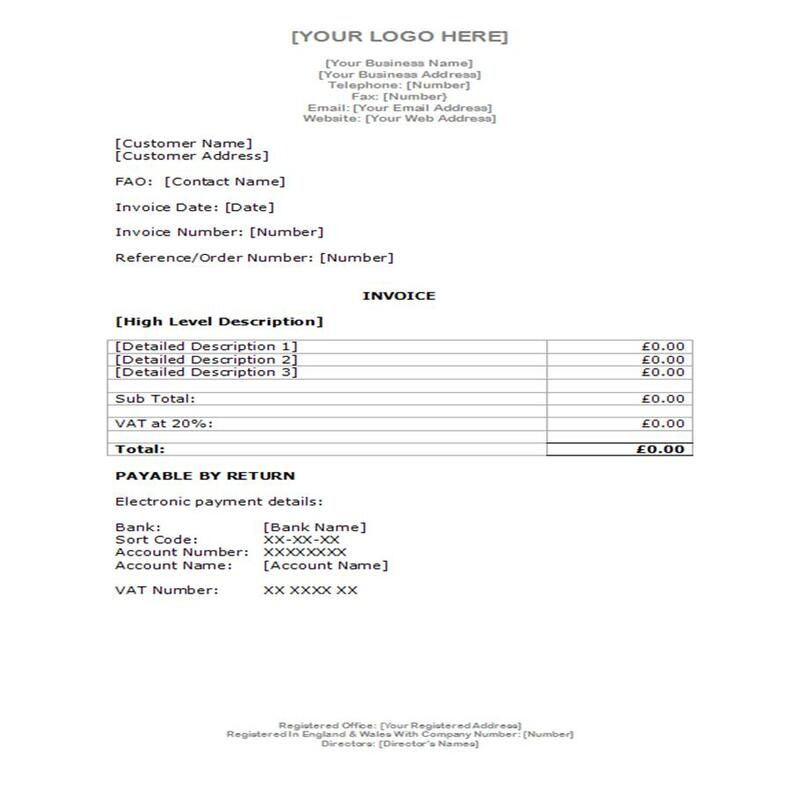 Below are examples of templates for a sales invoice and for a credit note example. Your phone number and email address - essential so that they can contact you with any queries. 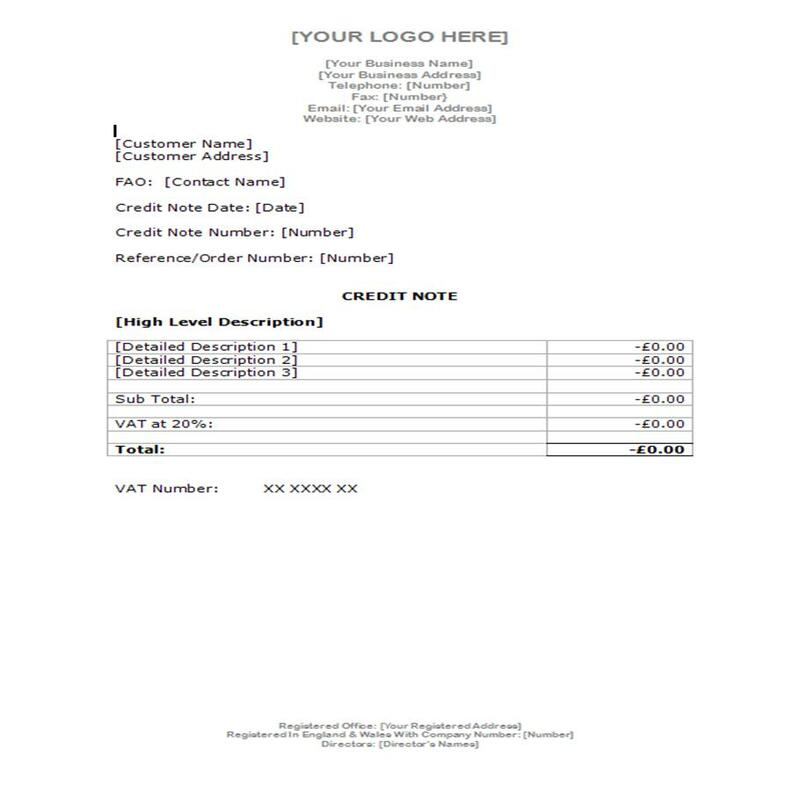 State that it is an invoice. Customer's order number or reference number. Description of the product or service. Value of the product or service. VAT value and VAT number. Payment terms e.g. 30 days. Your bank details or payment instructions e.g. bank, account name, account number and sort code. Your registered office, registered number and names of your directors. State that it is a credit note. Customer's order number or reference number if relevant. Description of the product or service being credited. Total value of the credit. Instruction about taking the credit e.g. deduct from next order or to cancel invoice X. Guide - Free credit control guide - everything you need to know about running your own credit control.